The Legal Guide For The Visual Artist is a dense book packed with advice attempting to help artists make better informed business decisions. 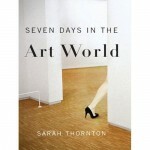 While I did read the book cover to cover I’m not so sure that’s the best way to experience the book. It took a long time to get through the legal speak and at times served as the perfect nighttime sleeping aid. 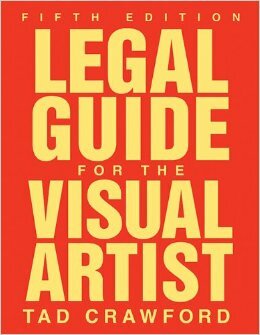 All jokes aside, I believe The Legal Guide For The Visual Artist is indeed worth owning. 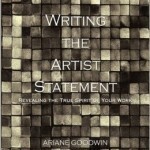 It serves as a good reference from which you can begin to plan the business side of a growing art career. 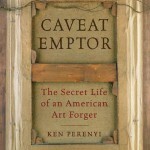 The book is rife with interesting case studies on artists and their bouts with clients, taxes, and the law. InTad Crawford’s chapter on Unique Art And Limited Editions he recalls an interesting case involving the originality of three Frank Stella paintings. This involved three original Frank Stella paintings created by the artist; not prints, fakes, or forgeries in anyway. A collector tried to sue Stella because each painting was essentially the same composition and the collector reasoned that his Frank Stella painting was less valuable because of it. This brought some interesting concepts to light regarding my own artwork. I once did paint the same painting twice to satisfy multiple buyers! I think I’m safe as my work is worth a fraction of what a Frank Stella painting goes for, but it did make me pause and reframe what it means to create an original work of art. The Legal Guide For The Visual Artist really attempts to cover just about every legal issue that an artist will encounter so at times you’ll wish that the author delves a wee bit deeper. He often resorts to the same advice you’ve heard elsewhere… Consult a lawyer & get things in the form of a written contract. I wish things were that easy, but we’ve all been under pressure and in inconvenient circumstances, but don’t want to lose sales. Many galleries I’ve dealt with in the past didn’t even have a contract or their contract didn’t say much. What happens if their art gallery burns down? Nowadays I usually ask to see the contract ahead of time and will bring my own contract if necessary. There are several boilerplate artist’s contracts presented throughout the book. The only problem? They are not offered online like every other book that offers forms. I’ve checked the book high and low and Tad Crawford’s website. Nada! I guess you’ll have to spent time retyping the forms by hand. That’s a waste of time. Come on Tad, give us a download to a PDF online! As you would expect, the legal coverage for artists is really determined by the states where the artist has their business registered. It appears that, and this comes as no surprise, that California has laws in place that are most sympathetic to living artists. One of my favorite topics of discussion was Crawford’s portrayal of when an artwork has been infringed upon and what is considered fair use. This is something I always wondered about. The Legal Guide For The Visual Artist does an excellent job on numerous accounts by laying out the facts that are considered when artwork infringement is called into question. …the test for copyright infringement is twofold: (1) proof of access by the infringer to the work alleged to be infringed must be shown (or, if the similarity between the two works is striking enough, this access can be inferred); and (2) the jury must conclude that an ordinary observer would believe one work is indeed copied from another. On the other hand, fair use has a fourfold test: (1) the purpose and character of the use, including whether or not it is for profit; (2) the character of the copyrighted work (use of an informational work is more likely to be a fair use than use of a creative work); (3)how much of the total work is used in the course of the use; and (4) what effect the use will have on the market for or value of the copyrighted work. 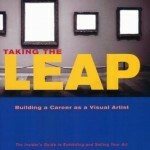 The Legal Guide For The Visual Artist is definitely worth keeping on your bookshelf. Don’t read it cover to cover like I did rather, use it as a handbook. Turn to the topic in question and read the chapter once or twice when in need.